Watching village women bake lavash in a sunken tonir oven is a highlight of everyone’s visit to Armenia—everyone except me, of course. 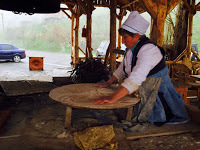 I was held hostage by a nasty head cold during part of last year’s trip to the homeland, so Robyn trekked up a mountainside without me to observe the ancient bread-making ritual. I was sad to have missed it but I would have been a lot sadder if she hadn’t trekked back down with an armload of Armenia’s wonderful bread. And it really is Armenia’s bread—our bread—recognized “as an integral part of Armenian cuisine” when it was added to UNESCO’s Representative List of the Intangible Cultural Heritage of Humanity in 2014. Now lavash is getting even more attention, along with other aspects of Armenian cuisine and culture, thanks to a recently launched project by the Smithsonian Institution in partnership with the United States Agency for International Development (USAID). The project called My Armenia aims to boost tourism outside the capital by accenting different facets of Armenia’s cultural heritage, including food traditions and recipes that vary from village to village. The effort will reach out to rural communities that are now far off most tour-guide maps in an effort to document and celebrate their most cherished cultural traditions. 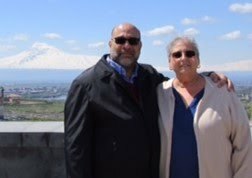 “People can have wonderful experiences all over the country, not just in Yerevan,” said Dr. Rebecca Wall of the Smithsonian’s’ office of international relations. 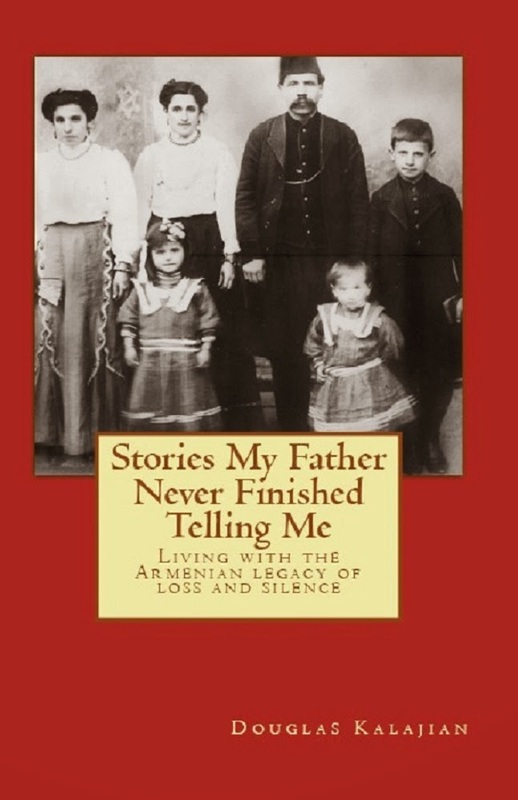 Among her first steps was writing about lavash for the Smithsonian, and she was kind enough to ask us to share our thoughts about what lavash means to Armenians. This is an exciting project with real benefits for the diaspora as well as for Armenia. We’ve all experienced the frustration of searching for lost recipes that our grandmothers never wrote down because Armenian grandmothers never wrote anything down. This is a particularly painful experience for Armenians because it reflects the loss of our grandparents’ homeland and the distinctive culture of Western Armenia. But it’s important to remember that many villages in present-day Armenia were settled by Genocide survivors who carried their traditions and recipes with them. As we learn more, we may gain a new appreciation for what Armenia has preserved. We may even discover that some of those recipes weren’t lost after all.